WASHINGTON (AP) -- Republicans pushed President Donald Trump’s nominees to head the Energy and Interior Departments through a Senate panel on Tuesday while other committees moved toward votes on his picks to head agencies in the thick of partisan battles over health care, legal protections, education and the economy. The Senate Energy and Natural Resources Committee quickly approved former Texas Gov. 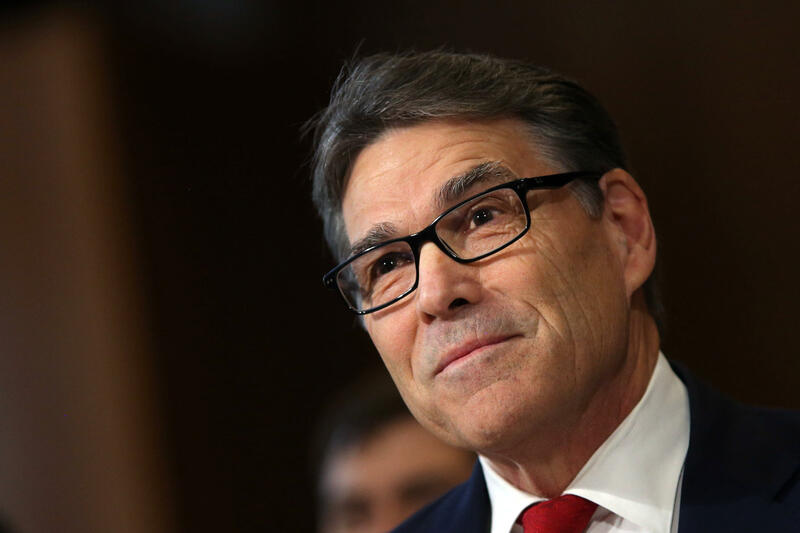 Rick Perry as Energy secretary by 16-7, and Rep. Ryan Zinke, R-Mont., to head Interior by 16-6. But several of his other picks faced more spirited opposition from Democrats. The Senate Finance Committee was expected to advance Trump’s picks of Rep. Tom Price, R-Ga., to be health secretary and Steve Mnuchin, a wealthy former financier, to lead Treasury. And the Senate Health, Education, Labor and Pensions Committee was considering conservative activist Betsy DeVos to head the Education Department. The Finance Committee’s top Democrat, Ron Wyden of Oregon, said he’d oppose Price and Mnuchin. Democrats have accused Price of insider trading in health industry stocks, which he’s denied, and criticized Mnuchin for not initially revealing nearly $100 million in assets. “I cannot support nominees who treat disclosures like shell games and ethics laws like mere suggestions,” Wyden said. Trump has nominated some of the wealthiest Americans to serve a president, leading to exhaustive ethics reviews. A Senate schedule interrupted by breaks has also delayed the process. The Finance panel was also expected to approve Mnuchin to become treasury secretary. Democrats have accused Mnuchin of failing to protect homeowners from foreclosures and criticized him for not initially disclosing all his assets. On Monday evening, the Senate cleared the way for a final vote on Rex Tillerson, Trump’s nominee to be secretary of state. Democrats wanted Tillerson to answer questions about Trump’s ban against entry for people from seven majority Muslim countries, but lost a bid to delay his nomination. AP reporters Maria Danilova, Mary Clare Jalonick and Martin Crutsinger contributed to this report.